powder skirt to keep out unwanted snow from soaking your layering. 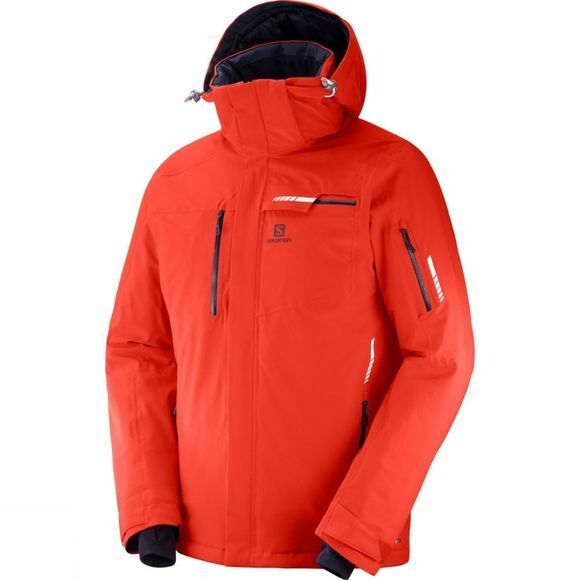 Warm and cozy 100g insulation is surrounded by 4 way stretch fabric that is fully waterproof and perfect for a long day on the piste. An array of zipped pockets are available, including a quick access lift pass pocket which will come in handy for those regular visits to the top of the slope. Other useful features of this jacket include additional ventilation to keep you cool on those long runs, which is supported via a wicking fabric. The hood is detachable whilst a goggle wipe helps you to clear up any unwanted powder.